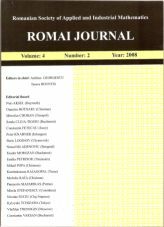 ROMAI Journal is edited by ROMAI, the Romanian Society of Industrial and Applied Mathematics. In the first years of existence of ROMAI, the works of its conferences CAIM were published in Proceedings. 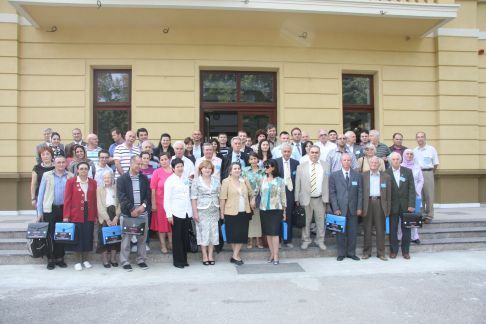 Between 1998 and 2004, the papers that were presented at CAIM were published in the Scientific Bulletin of the Piteşti University, the Mathematics-Informatics Series (with the exception of the year 2003, when the papers were published in Proceedings by the Oradea University). In 2005 the necessity arised that ROMAI has its own journal and ROMAI Journal was created. Since then, the journal has two issues each year and it contains the most important papers that are presented at CAIM as well as other papers that are sent directly for publication. The papers are published in English. ROMAI Journal is an Open Access Journal. The ISSN of our printed edition is 1841-5512 and the one for the electronic edition is 2065-7714.